Mötley Crüe... the band that will bring you to your knees! Today marks the 30th year Anniversary for Mötley Crüe and a Day of Celebration, for all of their fans around the world. Thank you for the LOVE, that you have blessed the world with, through your music and talents. Also, a BIG thank you to all of the Pastors, Prophets, Friends, and Family members, that have continued to pray for them throughout the years. 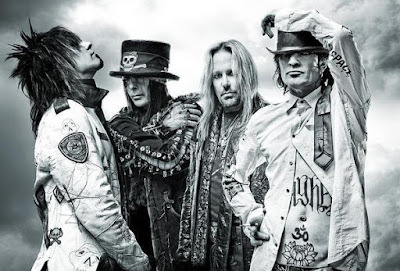 "You know I'm a Dreamer... but my hearts of Gold"
Mötley Crüe are Dreamers with BEAUTIFUL Hearts of GOLD! Thank you, Heaven SWEET Heaven, for shining down upon 'The Saints of Los Angeles' and protecting them! 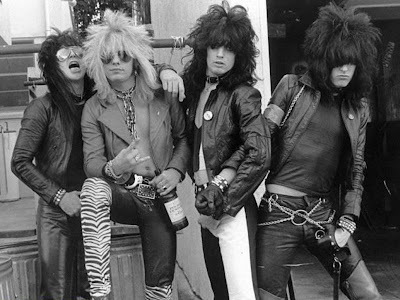 Happy Anniversary Nikki, Tommy, Vince, and Mick.